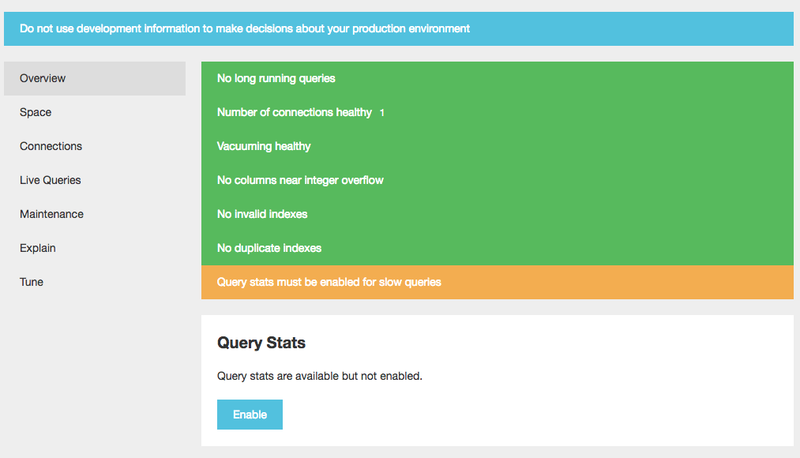 A performance dashboard for Postgres – health checks, suggested indexes, and more. 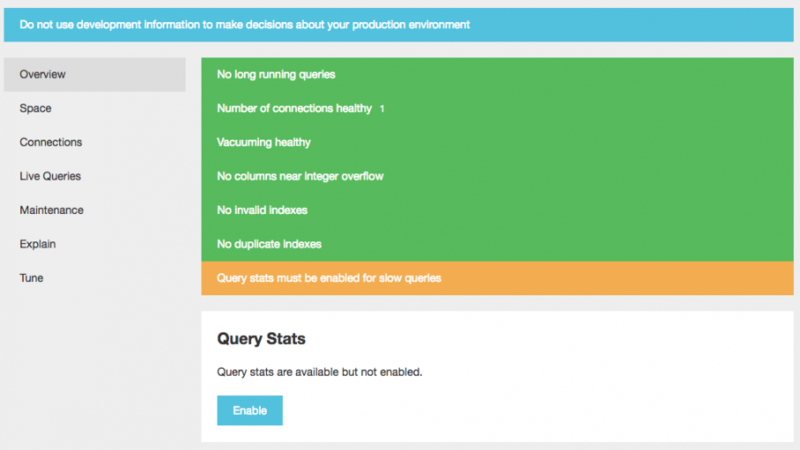 PgHero 2.0 provides, even more, insight into your database performance with two additional features: query details and space stats. PgHero makes it easy to see the most time-consuming queries during a given time period, but it’s hard to follow an individual query’s performance over time. When you run into issues, it’s not always easy to uncover what happened. Are the top queries during an incident consistently the most time-consuming, or are they new? Did the number of calls increase or was it the average time? In this tutorial, I am installing pghero on docker. I am installing pghero for postgres docker container that is running on my Mac. You can install pghero for postgres server running on Mac without docker and you can use pghero docker for remote postgres servers also. I am starting a new postgres container because I don’t have container running with postgres so I am starting a new container. In next step, I will show you how to install pghero for already running postgres container also. Firstly we will create a network so that postgres container and pghero container will be on the same network and reachable. Now we will start postgres container in the pghero network. Now we have postgres container running. Now we will start our pghero container with the following options. Now we have started pghero also let’s go to the browser to view the pghero dashboard. Now go to any browser and go to localhost:8080 and you will see the dashboard. Here you go. You can see the queries, connections, and lot of stuff here. Now I will start postgres with an already running container. You need to start the pghero on the same network in order to connect to postgres container. Now you need to look up the network of the already running container. Just execute following command and replace the container id with yours. Then inspect the docker container and grep Network ID. So now you need to look for first 12 digits of Network ID and match it with our networks. My first 12 digits are 8ca745341a40 and the network of Postgres container is installvirtual. Now my pghero is started and it is working and reachable to the Postgres container. If you get any issues in installing pghero and resolving Postgres container please feel free to comment below.